The biggest positive about a Destination Wedding in the Cayman Islands is how easy it is to plan and organize. Grand Cayman is the largest of the Cayman Islands, and has the most services and the most Destination Wedding Planners. If you want to have a simple, destination wedding either while your cruise ship is in port, or while you are here as a stay-over visitor, then Simply Weddings can help you organize and plan either a legal wedding or a symbolic ceremony. Symbolic ceremonies can only be done after you have been legally married in another jurisdiction. 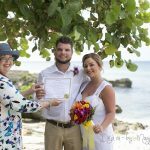 For a legal wedding you will need to find a wedding officiant who will assist you in getting your Special Marriage License from the Cayman Islands Government. 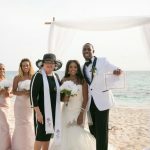 After the wedding, your officiant will file your wedding and make sure you get your Registered Marriage Certificate, the document which you will need when you get home to show that you were legally married in the Cayman Islands and your marriage has been recorded. 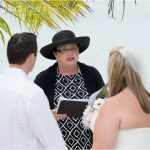 Every year the officiants at Simply Weddings organize more than 200 Destination Weddings in Grand Cayman. Our company specializes in simple, elegant, personalized weddings for small groups, or just the two of you. We have more than 20 years experience in the management of Destination Weddings in our beautiful islands. Our basic package covers the legal requirements of your Grand Cayman destination wedding. 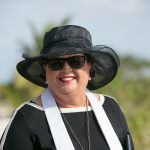 Basic “no frills” Cayman Wedding Watching your budget? Want to do a lot of the organizing yourself? This package which is available for visitors to the Cayman Islands includes all the legal requirements for your Cayman wedding (witnesses are not included). Your Registered Marriage Certificate, recognized world wide. 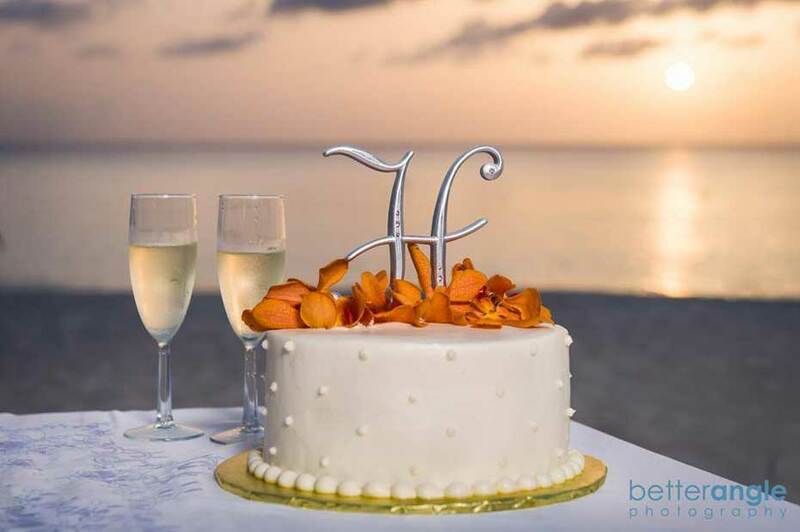 US$1425 You can enjoy a sunset Destination Wedding on a beautiful Grand Cayman beach, this package is suitable for stayover guests, All-inclusive Cayman Sunset Wedding This package is not available for cruise guests. 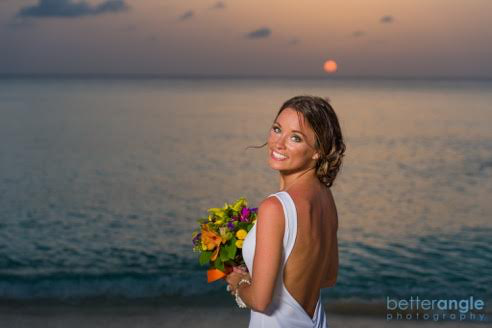 Stay-over visitors at Seven Mile Beach hotels and condos can enjoy the ultimate back-drop for their sunset wedding, a Cayman sunset on one of our magnificent beaches. US1375 (there is a time and travelling supplement of $125 for ceremonies outside the George Town and West Bay area). Ask us about customized Destination Weddings and add, arch or chuppah, chairs, cake, transportation, live music including steel pan, videography, signs etc. We come to all hotels and condos to perform wedding services, so ask for us by name, your hotel concierge or condo manager will easily get in touch with us.